Access to internet is getting easier. It seems pretty long now when internet was first made available by Mercantile Office Systems in mid-July of 1995 when it had Nepal connected via NTC to Singapore Telecom. According to MIS report published by Nepal Telecom Authority in October 2017, there are almost three new internet users added every minute. The cost of usage has gone down ’exceedingly’ low. Thanks to the price war playing out in the market by internet service providers, connectivity is no more a luxury. Cheaper mobile phones and other such devices through which internet can be accessed have flooded the market. Internet, compared to what it was two decades ago, has come a long way. No doubt, the advent as well as unprecedented growth of internet has changed the way we communicated or the way we entertain ourselves, or basically the way we lived. But how has it really impacted the way we use internet for educational purpose? In a survey done in Syagja, out of 100 people asked, specifically the teachers, overwhelming number of them failed to answer whether their teaching, in any way, has changed with access to Internet. Rather, they were quick to point out that they have long asked schools to get internet in classrooms. When asked whether internet would in any manner affect their teaching ‘style’,’ yes obviously’ was the spontaneous answer. However the follow up question failed to draw a reasonable answer as they failed to pointedly mention what they would do had they had Internet in classroom. While interacting with one of the officials here in Kathmandu, I got an interesting response. 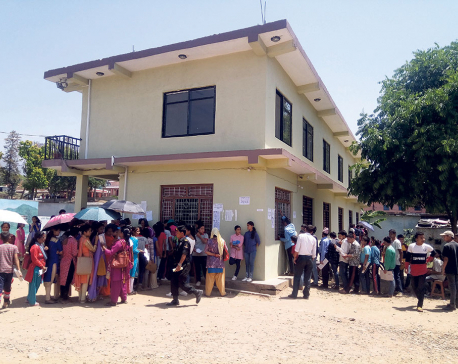 He had been approached by a teacher from Panchthar in a Facebook messenger where he said that life would certainly be easy as a teacher had he had access to internet. It is vitally important that internet in itself needs to be understood in the manner that teachers understand how to put into use. As recent as last week a post from a computer teacher in Ghana hogged the limelight in Africa. What essentially was an innocent post with a caption that read ‘Teaching computer is funny in Ghana’ suddenly caught eye of millions around the world. The picture he had posted was of a classroom where he had drawn a diagram of Microsoft’s Word application on a blackboard, with all the menus and icons as if it were a photo of the actual word editor. He had his students learn how to use the MSWord package. The only missing thing was computer. What would internet actually facilitate? Perhaps the most readily available answer would be ‘access to resources’. In one incident in Kenya, a teacher was found explaining the subject based on material she had found on internet. Little did she know that the site she was referring to was hosted by one of her students. The contents that she had referred to were actually the notes scribbled by that student and thereby not credible. 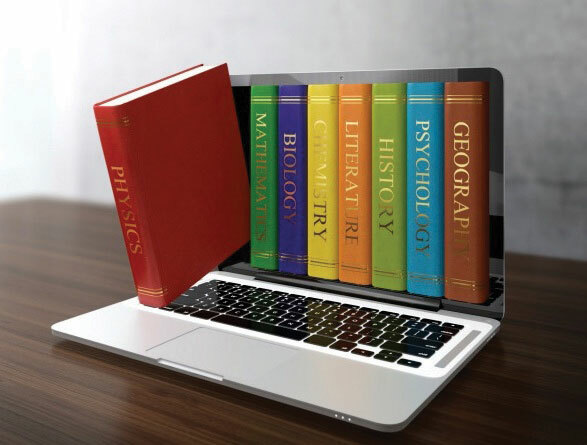 Over the past decade, proliferation of online learning tools, popularized by the name Massive Open Online Courses (MOOC) has become one of the popular learning resources across the globe. This could be possibly seen as the stepping stone towards future of how one can use resources available over internet for learning purpose. However there’s very little to cheer about it considering their usage in our public schools. A couple of months ago, Ministry of Education called a meeting inviting all the major parties involved in creating online contents for Nepal. The author was among one of the guests invited. To much surprise of the author, there were not many players involved. The major players happened to be Open Learning Exchange, government’s official online creation partner. Midas technologies happened to be the one whose aim was to create complete online content creation ranging from grade I to grade XII and have been fairly successful in becoming economically viable. Deerwalk Learning Center, the center which is still in its infancy, perhaps was the other one. To sum up, the content creators were not that many. So what is it that we are missing or neglecting? We are engaged in rhetoric on how Internet is changing the classroom far too often without actually mentioning the change. Or perhaps what we are doing is taking example of one percent and using it to generalize the remaining 99 percent. And to answer the possible reason for lack of use of internet in our teaching, it could be very well the fact that we may have hastily joined the technology integration boat without actually thinking what to do with it or, more importantly, how. Nepal currently is adding three Internet users every minute or so. This no doubt is a clear sign that reach of internet in nook and corner of the country is fast and rapid. Very soon every school will have itself connected. But, that may not translate in any substantial gain in terms of increased quality of students in public schools. It might be worth reminding ourselves as to how the entire education sector is being de-prioritized over that last decade. The newly appointed prime minister has made it clear that Nepal will soon start its march to much delayed, long awaited, walk to prosperity and development. The only fear here is how we do so if education sector continues to receive the same treatment. The internet definitely can usher in a new era in learning and schools can benefit by being more connected. Whatever efforts we have put in seem pretty focused on harnessing the benefits of information and communication technology but for administrative use only. As of now, we seem to be pretty occupied in getting something like school administrators share or exchange their MIS reports instantly or receive notices via emails. What happens to the students who ought to be the eventual beneficiaries is yet to be seen. As of now, the light is still not there.